box 1.1 How many computers in your home? 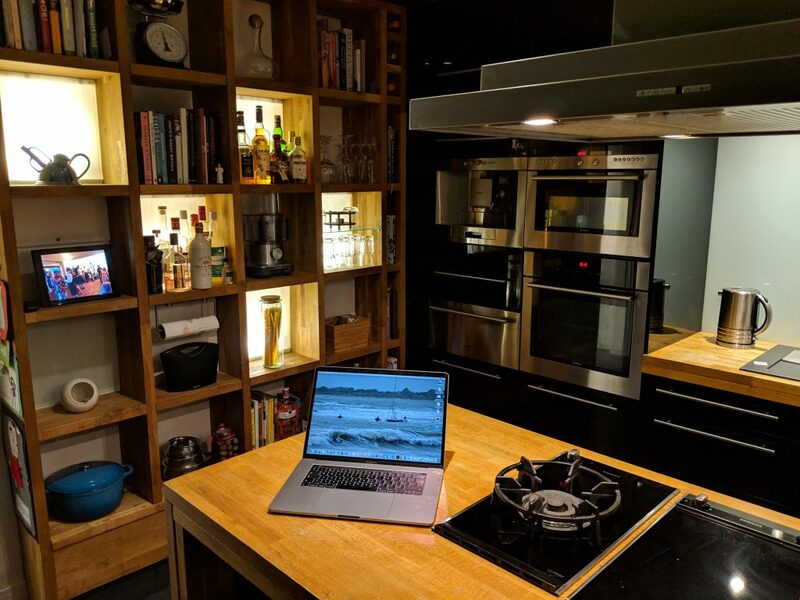 box 1.3 Revisited: How many computers in your home? box 1.4 What’s in a name. This is a book about understanding the physicality of people and of technology, and how studying these can help us to better design physical technology for people. Historically there has often been a dualistic view of mind and body, with cognition and thought being seen as quite separate from physical muscle and bone. Computation has a similar abstract feel, a world of algorithms and pure reason. However, humans and computers are embodied respectively in flesh and silicon, and if we wish to communicate with any computational device, we do so through that flesh and silicon, through the physical world: tapping keys, pushing a mouse or stroking an iPhone screen. Not all these interactions involve fingers and touch. Speech involves tongue and mouth creating pressure waves through the air to vibrate the microphone in the computer. Gesture recognition involves moving arms, photons and optics. Even direct brain interfaces use electrodes and wires. There is no connection at the level of pure abstraction but always in the physical world. As more devices around us have digital aspects, it becomes essential that we understand the way physical and digital interactions meet. Traditionally the physical form of a product was the domain of the industrial designer (sometimes also called product designer), whereas the digital interaction belonged to the usability or human-computer interaction specialist. Now, however, in products from mobile phones to washing machines, the physical design and the digital design must come together to create a single experience for the user. How many computers are in your home? Think about the answer — you may need a quick run around to count. Later in the chapter, we’ll return to this and see how you compare with the authors. The physical world can be seen in many ways, for example through biology, physics or geography. To focus on those aspects that influence the design of hybrid digital/physical devices, we are organising the central parts of this book around four main themes of the physical world. Part II. the body and physiology — Our bodies are physical, as are our brains. However numinous our thoughts, they have their life in the material substance of neurons. Our bodies too can be part of digital interactions, whether gaming on an X-Box or using an advanced gesture recognition interface. Part III. material artefacts and design — The world is full of ‘things’, both natural things like stones, and constructed things, such as scissors, books and mobile phones. Our understanding of the former is germane to the design of the latter. Part IV. space and spatial arrangement — When we interact, we do it in physical space. This space may be where we perform physical movements. For example, a few years ago living rooms around the world were briefly reorganised to accommodate the Wii [No08;VG08]. Physical space also has social dimensions. For example, the Hermes system at Lancaster University uses small displays outside office doors where visitors can leave notes [CF03]. There have never been problems with abusive messages, perhaps because anyone leaving a note is aware that they can be observed in the public corridor – the spatial location changes the use [DC04]. Part V. digital artefacts and virtual physicality — Sometimes we emulate aspects of the physical world in the digital: virtual reality creating whole parallel worlds, the desktop metaphor, dragging images on an iPhone, or even the idea of ‘visiting’ a web site. Do we understand enough about the physical world to be able to capture the right aspects? And computation itself is embodied in silicon and magnetic surfaces and bound by that materiality (see the PalCom project “making computing palpable” [PC08]). There can only be a finite amount of computation in a finite space, and information flows take time, hence the star like pattern of supercomputer circuits. These themes are not independent. As we have seen, as humans we interact with computation through the physical world, most commonly through devices and always set within space, whether in offices, homes, streets, the countryside or the open sea. While this book is about the confluence of digital technology and physical design, in fact digital technology is the latest step in a long process whereby humankind has shaped its world. With the exception of the fourth (Part V), each of our major themes encompasses both natural and artificial phenomena. 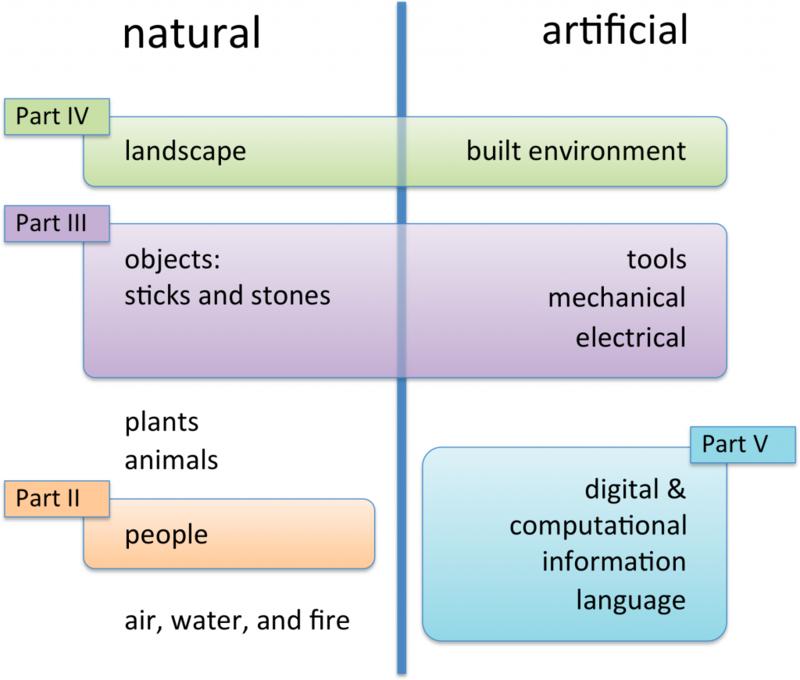 Figure 1.1 lists some of the kinds of things we find in the world, divided left to right by whether they are natural or artificial, and grouped into their themes, where they fit into one. Note that the distinction into natural and artificial is itself slightly problematic. After all, we are part of the natural world, so in one sense a computer is as natural as cow dung: both are products of animals in the world. If we exclude bodily functions, then certainly a bird’s nest should be included as an artificial construction. Similarly, we have put language on the artificial side of the divide, yet birdsong could equally well sit there. Both lines and language have a tendency to impose discrete distinctions upon continua, a point we will discuss later in the book. The Ancient Greeks had four basic elements, earth, water, air and fire, though Aristotle added a fifth — aether — for the material of the heavens. Similar systems occur across the world. While earth represents the solid things of the world, water, air and fire are increasingly numinous, hard to hold or contain, or even see. Of the kinds of things listed for the natural world in Figure 1.1, most are things of earth, the solid things we can see, touch and hold: the landscape, stones, plants, animals and other people. Yet while each is solid, they differ dramatically in the way we understand them and the ways in which we can interact with them. The most ‘earthy’ of natural things is the ground itself beneath our feet and the landscape that stretches out around us. This forms the matrix within which we live and act, hence the importance of ‘space’ in the organisation of this book. The landscape, near and far, is not bare but full of inanimate and living things. The inanimate, whether ‘never living’ like stones, or ‘once living’ like sticks and shells, is our starting point when we look at material artefacts. In some ways it is the simplest of things, within our control. Inanimate objects do not change unless they break. When we want a child to learn we often give them simple blocks of wood (or plastic) to play with: they can experience and create order, or be the agent of their own chaos. Plants are not so different from stones except that these living and once living things tend to be more pliable, changeable in form, not just location: even wood becomes more solid as it ages. Animals, however, change the rules. Just like people they move and act on their own volition. In contrast, just like stones, the ground or dead bones, a tree will stay where it is. Interaction with stones and plants depends only on your own actions, but to interact with an animal (whether chasing it to eat, or running away to avoid being eaten) you need to consider what it will do. We recognise that any attempt to distinguish people from animals based on essential attributes, whether consciousness, self-consciousness, intention, intelligence or moral sense, is bound to lead to debate if not argument. However problematic such distinctions are, we humans are special in this book. Indeed it is we who create the digital technologies and it is we who will use them. Turning to water, air and fire: of the three, water seems most well behaved, tending to leak to the earth if given a chance, but otherwise controllable, holdable, movable. No wonder the liquid metal in Terminator 2 is so frightening and the water horses in Lord of the Rings so awe inspiring. Uncontained, the crashing sea or flowing stream have also always held that sense of ‘otherness’ and mystery. But it is air that is most often associated with life itself, and even spirit. The blowing wind apparently gives vitality to trees and even dead leaves, and in Genesis God breathes life into man. Fire, on the other hand, is the destroyer, perhaps the most mysterious element of all. From a scientific point of view it is just hot, glowing, burning gas; but it seems to defy day-to-day rules, with apparent edges yet constantly forming and reforming. As water seeks to escape downwards, fire constantly flows upwards to the sky, never reaching it but disappearing, leaving a dark dirty smoke from its pure glowing heart. It is fire that gives us the best metaphor for many of the more abstract notions of language, society and computation. Fire is essentially an emergent phenomenon. While earth, water and air are, in the end, composed of molecules and atoms, a fire is defined not by a particular set of molecules — these are constantly changing state from fuel to smoke. The identifiable flame is more about the self-sustaining form and structure in which these passing molecules find themselves. We will return to this idea in Chapter 15. This quality of fire, constantly changing yet also fixed and bounded, was germane to the philosophy of Heraclitus, who in turn influenced the views of later Greek philosophers including Aristotle. Heraclitus saw that change was the essence even of things that appear unchanging, or, as Karl Popper phrased it in more modern philosophical language, Heraclitus sees everything as process [Po63]. Our bodies are, of course, similar. We eat food and shed skin, we have all heard that each breath we take contains an air molecule once breathed by Julius Caesar. As with fire, it is not the particular molecules that make us who we are, but their arrangement. Flocks of birds, multinational companies, files on a magnetic disk: each has identity in an arrangement of changing parts. However, now we have moved on to the artificial world, the world forged by human hands. The roots of the word ‘artificial’ are from the Latin ‘ars’ meaning art and ‘facere’, to make: the artificial is the made. The Chinese elements differentiate earth, wood and metal: although small amounts of precious metals occur naturally, metal is largely a product of human labour. We not only shape the earth, we add materials to it that do not previously exist, or rarely exist in natural form. Arguably fire itself should have been in the category of the artificial; while natural fires exist on earth as the result of lightning or volcanoes, the majority of terrestrial fire is man-made. Along with stone tools and skeletons, fire circles characterise the oldest remains of hominids. Fire allows the smelting of metal, fire drove the Industrial Revolution, and it is the carbon dioxide from that fire which threatens to destroy us now. When we think about the work of our hands, however, it is the remains of buildings that are often the most persistent signs of past artifice: the Acropolis in Athens, the Coliseum in Rome, the Great Wall of China, the hilltop city of Machu Picchu in Peru, and the remnants of Neolithic post-holes. Indeed, of the ancient Seven Wonders of the World, five are buildings and the other two giant statues. Buildings change our relationship to the environment. We can shelter from the weather and be protected from animals, and other humans. Large-scale building also requires sophisticated human organisation and planning. Many of the four-ton stones used in the construction of Stonehenge were transported hundreds of miles from Pembrokeshire in South Wales over a period of many decades. This list was compiled by the Greeks as a sort of Lonely Planet Guide, so it is not surprising that all are in or near to Greece. More recent lists include wonders from other parts of the world. Only one of the wonders exists today, the Great Pyramid of Giza, which was also the oldest at around 2500 BC. It is not only buildings that influence our relationship with the natural landscape. Large works of civil engineering, such as the Roman roads that cut across Europe, the Suez Canal, and the trans-Siberian railway, shape both landscapes and lives. Indeed the Suez Canal shows how powerful a political issue these re-mouldings of the geography can be. The Roman roads were there precisely to enable fast movement of troops to conquer and to control; and it was the railroad, as much as the US Cavalry, that enabled the expansion of the western frontier and the eradication or displacement of the native American tribes. In many areas of the world, agriculture provided the surpluses that enabled the growth of large social units. However, the public works needed to maximise production also led to political and physical change. 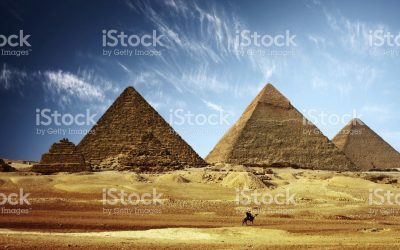 In Egypt the whole civilisation is believed to have arisen in order to harness the annual floods of the Nile through massive works of embankments and channels. 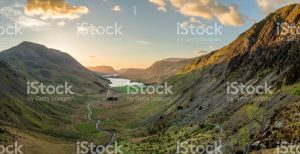 Even what we now consider to be natural environments are often the result of large-scale agricultural interventions: the Lake District in Northern England (Figure 1.2) is shaped partly by the work of nature, ice and rain, but would be wooded if it were not for the sheep. In later chapters we will see that humans are not the only tool-makers, but we are certainly the most prolific and sophisticated. The earliest tools were axes and spears to hunt, fish and prepare food, and bone needles to fashion clothes. In fact textile production has always been one of the most technically sophisticated activities, from early handlooms to the Spinning Jenny, which was the catalyst for the Industrial Revolution. As technology advanced, both mechanical and electrical artefacts were seen, in their time, as almost magical. This may be partly because, through hidden mechanisms and harnessed power, they seem to defy the laws that hold for simple physical objects. And in each age humankind has imagined itself formed by these technologies, with artificial humans driven by clockwork, then steam, now electronics. From Pygmalion to Golem to Frankenstein, literature and folktale has stories of constructed humans becoming alive. In science and philosophy we use the images of the day to make sense of our bodies and minds. Descartes imagined tiny movements of the nerves carrying information from fingers to brain, and today we cast the brain in information processing language. It is precisely this computational and digital technology that is the focus of this book, technology that can be numinous, like air and fire, difficult to put your finger on and touch. However, we shall see that notions of information have existed from the earliest stage of modern humanity and are intimately tied to language itself. Information and language are carried by particular words on a page, sounds in the air, or electrons in a wire. Just as the constituent molecules of fire change from moment to moment, the words are passed on from person to person. Each tongue of flame is unique, but the fire itself has a persistent, dynamic form. The words are, in a sense, different in each telling, but the power of language and the power of information is that they also have a meaning beyond the particular wax tablet, parchment or silicon chip. How many did you count? Probably several depending on how many people live in your house. Maybe, if you are very geeky, you have separate development or gaming machines, perhaps even old machines for nostalgia’s sake. Yikes, are we total geeks? If you haven’t guessed already, think again. 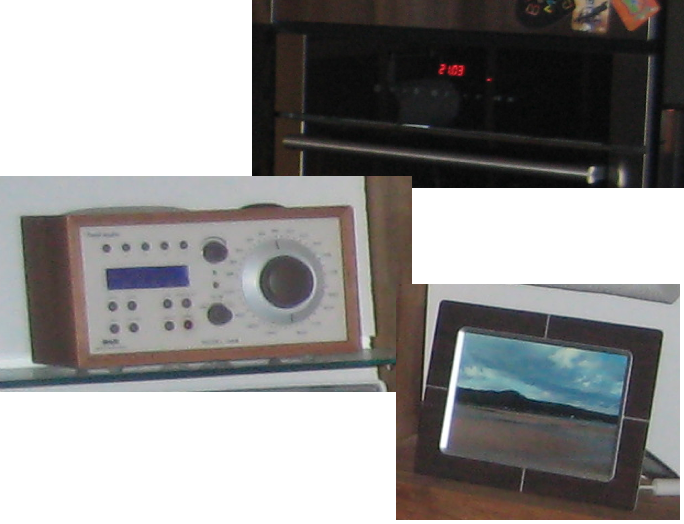 Do you have a HiFi, microwave, TV, washing machine? Each of these typically contains one or more computers, so how many computers in your home? Try looking around your body too. How many computers do you wear, have in your pockets, or carry around in your wallet, or handbag? Phones, Fitbits, chipped credit cards, cameras, even car keys, all have computers or some form of computer technology in them. This book comes as the confluence of two areas of research and practice: Human–Computer Interaction and Industrial Design. Industrial design is about generating ideas and solutions for physical products, whether in the home (kettles and corkscrews), in the workplace (adjustable chairs, paperclips and filing cabinets) or in the world (cat’s eyes on roads, waste paper bins on the high street). Human–Computer Interaction (HCI) is concerned with any place where people interact with technology. This may be a one-to-one interaction between a person and single computer (like the person typing on a laptop to write this), or a situation where the computer is a mediator in a human–human communication (Skype calls and instant messaging). For many years, those working in HCI largely had to treat the hardware of computing (keyboard, screen and mouse) as a ‘given’ and focus almost exclusively on the design of software and on understanding the cognitive, social and organisational impacts. In contrast, industrial design was confined to objects with (at most) relatively simple mechanical or electrical activity. However, as devices such as washing machines and mobile phones became more complex in terms of their interactivity, industrial designers started to attend HCI conferences, and as computers became embedded in everyday devices those in HCI started to look to industrial designers for insight on physical design. The roots of HCI can be traced back at least 50 years. 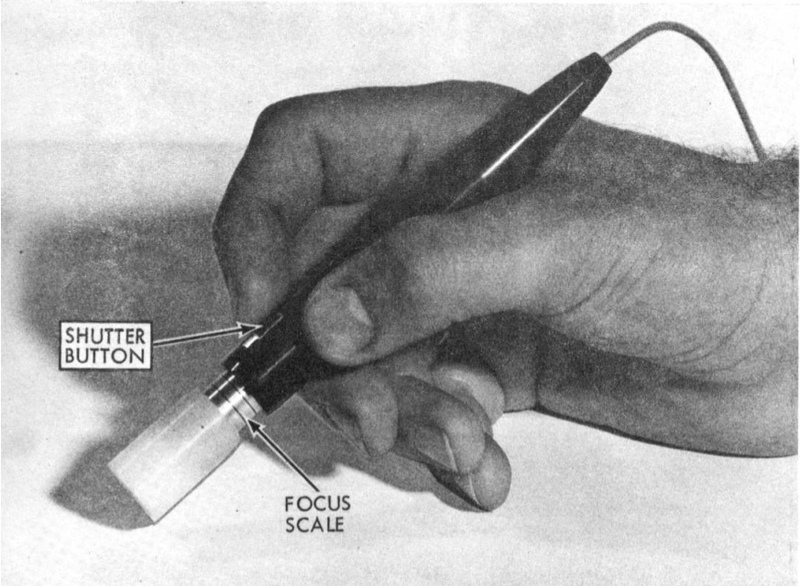 In 1959 Brian Shackel published probably the first HCI paper, on the ergonomics of displays [Sh59], and the early 1960s saw the development of landmark systems including Ian Sutherland’s Sketchpad [Su63] and the work of Douglas Engelbart’s Bootstrap Institute [EE68]. The Bootstrap Institute was home to the development of concepts that took many years to become mainstream, including video conferencing and hypertext, and, perhaps most iconic, the first computer mouse. 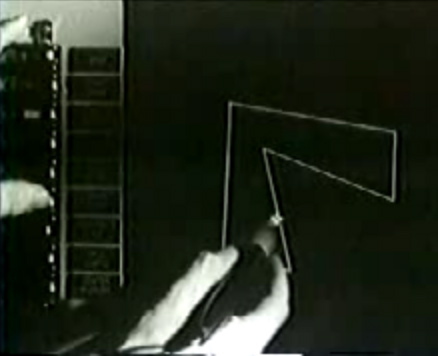 However, it was in Sketchpad that we saw the first use of the computer screen to create an interface that was in some way like the physical world, with a light pen used to edit diagrams on screen. The late 1970s and early 1980s saw the emergence of a recognisable discipline of Human–Computer Interaction, Shackel again being critical in establishing the international community. This expansion was largely driven by the emergence of the personal computer and in particular the Apple Macintosh, still seen as a design icon as well as an enabling technology. The visionary element was still there, especially in the work of Xerox PARC Laboratory, which pioneered many of the interaction techniques that found their way into the ‘Mac’. In the early days HCI was known by different names, including the “Man–Machine Interface”. This term had various problems: “Man” is gendered, “Interface” fails to give regard to broader interaction and context, and “Machine”, well, just sounds dated. However, the adoption of “Computer” instead has its own problems, as “Machine” suggests a broader view of technology. In these days, when computers are in everything, it may be a moot point, and the name has not prevented the field of HCI from embracing the broader issues whenever and wherever people interact with technology. However, for this book, we wish the field could be called Human–-Technology Interaction, since the computer, while present in almost all modern technology, is not the focus of human interaction with it. For many years HCI research focused almost exclusively on interaction through the graphical user interface, itself a physical metaphor at use in the flat digital world of a pixellated screen. However, there has always been a strand that looked at physical interactions, especially in the design of improved or novel input devices, including squashable balls, foot-based interaction and numerous devices for navigating in 3D environments. Studies of technology in context have always emphasised the importance of the physical layout of work environments; for example, the different ways practice nurses, general practitioners and hospital consultants oriented their screens to include or exclude their patients. 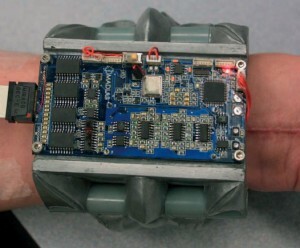 However, it is only in recent years, with the development of mobile technology, ubiquitous computing and tangible interfaces (see below) that physicality has become a core issue in HCI. What do we mean by design? It is a word that means many things to many people. Cambridge Advanced Learners Dictionary defines it as “to make or draw plans for something, for example clothes or buildings” [Mc13], a definition that leaves plenty of room for its application in a range of areas by a very broad range of professionals and amateurs from chefs to chemists and from electronic engineers to ergonomists. Not only that, its meaning has also changed over the years: “mass-production has evolved and has been perfected, and in the course of this evolution the designer has been variously an artist, an architect, a social reformer, a mystic, an engineer, a management consultant, a public relations man and, perhaps, now a computer engineer” [BC07, p. 55]. For the purposes of this book we shall be concentrating on one area of design: the design of physical objects, particularly, though not exclusively, those intended for production (industrial design, more on this later in this chapter). Arguably design is as old as people: whether fashioning flint arrowheads or building a broch. Generally speaking, what separates modern design from design before, say, the Victorian era, is that earlier design tended to be based more on individual output rather than mass or even batch production. There are exceptions. The Romans, for example, produced pre-laid mosaics that could be bought ‘off the shelf’ for installation in the home. 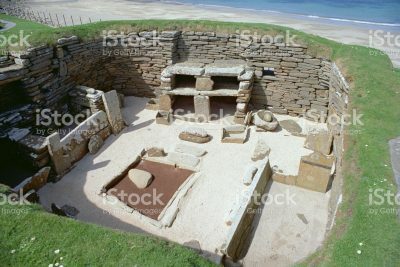 Examples of ‘mass production’ may even be found in Neolithic times: Skara Brae is a Neolithic village on the principal island of Orkney, Scotland (Figure 1.4). It consists of ten dwellings dating to around 3100 BC. They are very well preserved, being largely intact with the exception of their roofs. The buildings themselves are of a standardised layout with furniture, cooking area, beds and dressers all in the same relative positions in each dwelling. The stone furniture itself is also of a standard design. 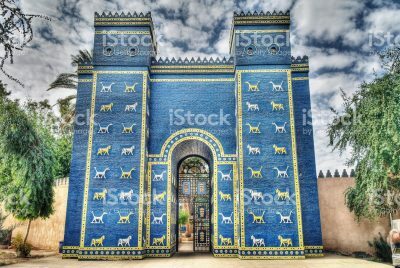 For most of recorded history, ‘design’ tended to be within single disciplines such as crafts (pottery, jewellery), engineering (bridges, canals) or architecture. Again there are exceptions such as the detailed drawings of da Vinci and the Renaissance confluence of arts, science and (albeit anachronistic to say) engineering. Throughout the later Middle Ages, in the increasingly mercantile society, the craft guilds grew, though largely to protect the secrets of their crafts, not to critique or develop them; and more aesthetic traditions in high-end furniture, fashion and architecture have flourished from the Renaissance on. Design and manufacture began to separate in the mid-18th century when mass production began to be used. Josiah Wedgwood was among the first to bring in sculptors to ‘design’ the form of the ceramics manufactured in the Wedgwood factory [BC07, p. 17]. The ability to reproduce forms accurately meant that the quality of the end product was determined by the quality of the design at the beginning. It was in the late 19th century that more reflective and modern design traditions had their roots. Just as today, design philosophies varied greatly. On the one hand John Ruskin’s works led to the nature-inspired and handcraft-focused Arts and Crafts movement. Whereas Ruskin and the Arts and Crafts movement were partly acting in reaction to the mechanism of the Industrial Revolution, others embraced the utilitarian lines of new materials and methods, giving rise to Modernism. The architect Louis Sullivan was one of these, both developing the steel-structure high-rise and also coining the design maxim “form ever follows function”. This period also saw the first mass produced electrical appliances, with irons, toasters, cookers and electric fans all appearing before 1910 [Ga07]. According to Bayley and Conran, the term ‘industrial design’ first appeared in 1919 in America, introduced as a method by which products could compete essentially through ‘styling’ when their prices were ‘stabilised’ during the Great Depression. The profession quickly expanded its role to embody product function as well (e.g. 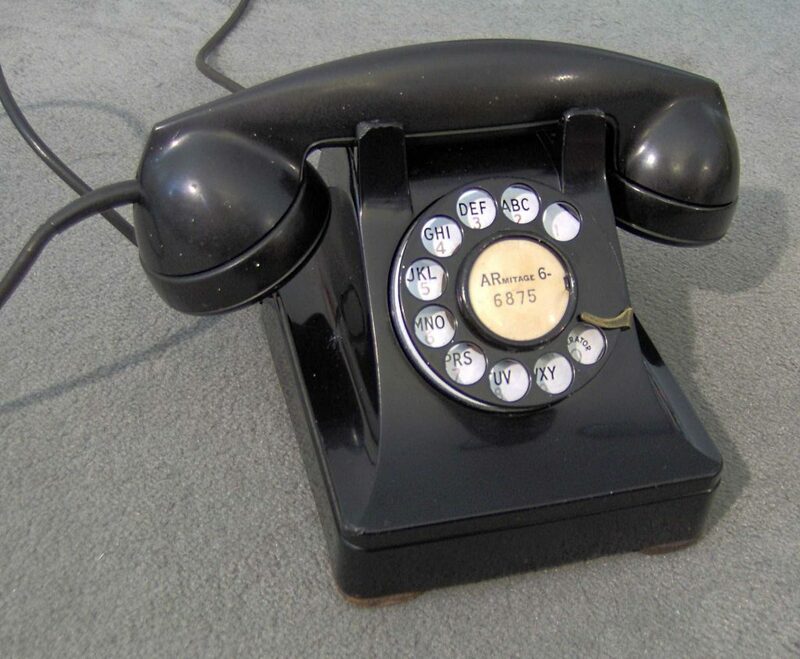 Dreyfuss’s home phone in 1937, Figure 1.5). The International Council of Societies of Industrial Design (ICSID) no longer attempt to define industrial design – a term somewhat interchangeable with product design. However, in 1963 they did define it, as “a creative activity whose aims are to determine the formal qualities of objects produced by industry. These formal qualities are not only the external features but are principally those structural and functional relationships which convert a system to a coherent unity both from the point of view of the producer and the user. Industrial design extends to embrace all the aspects of human environment, which are conditioned by industrial production.” [WD17]. Another key influence in the development of industrial design as we know it today was the Bauhaus. Founded in 1919 by an architect, Walter Gropius, the Bauhaus was a ground breaking art school that sought to bring arts, craft and design together in a single modernist movement. Adopting Sullivan’s ‘form follows function’ approach, important Bauhaus designers such as Mies van der Rohe designed products and buildings that exploited new materials and processes that relied on simplicity and mechanical integrity for their structural and aesthetic success. Defying: Bauhaus designers sometimes sought to use new materials that appeared to defy physicality. 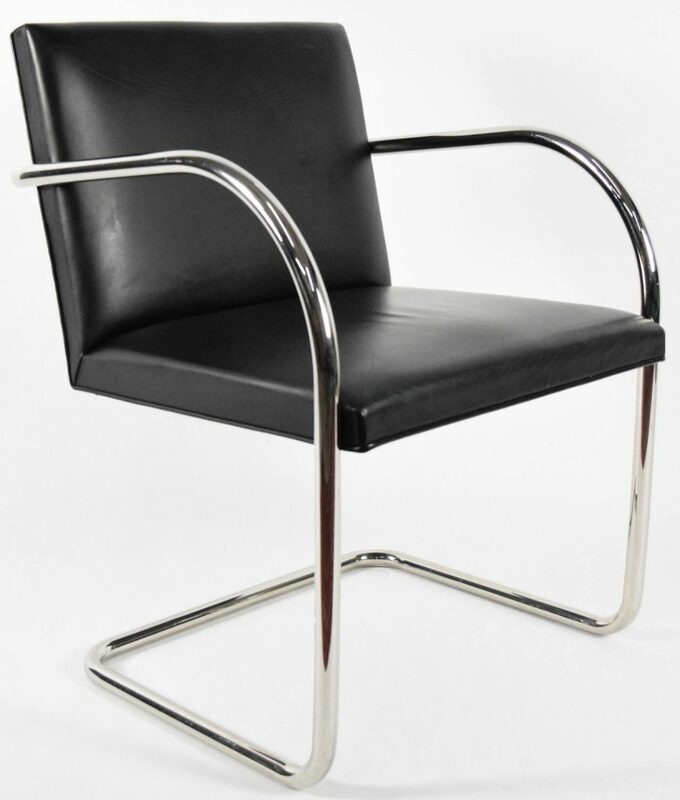 The Brno chair (1930) by Mies Van Der Rohe uses steel to create a cantilevered structure employing a minimum of material to create the impression of a “floating” structure. Jonathan Adams used a similar trick with the design of the Wales Millennium Centre in Cardiff, UK, the apparent physical structure – in this case glass, appearing to support the bulk of the building. 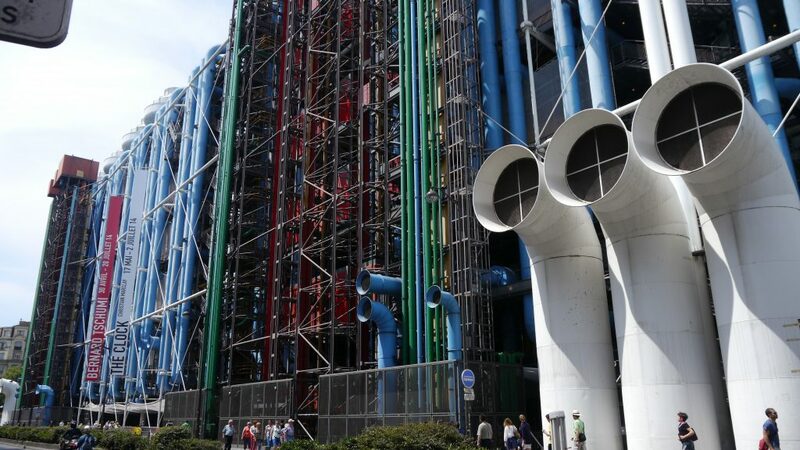 Exposing: Richard Rogers, Renzo Piano and Gianfranco Franchini designed the Pompidou Centre (1977) to expose its service infrastructure on the outside, ostensibly to clear space inside. Lifts, stairs, escalators, water, air and electrical services are each colour coded: electricity in yellow, water in green, air in blue. Not only are the building’s innards exposed, but the physical purpose of each is highlighted. This change in the physical presentation of the building alters the viewer’s perception of the importance of structure (which normally has primacy) over service, which we might also see as support for the occupants. 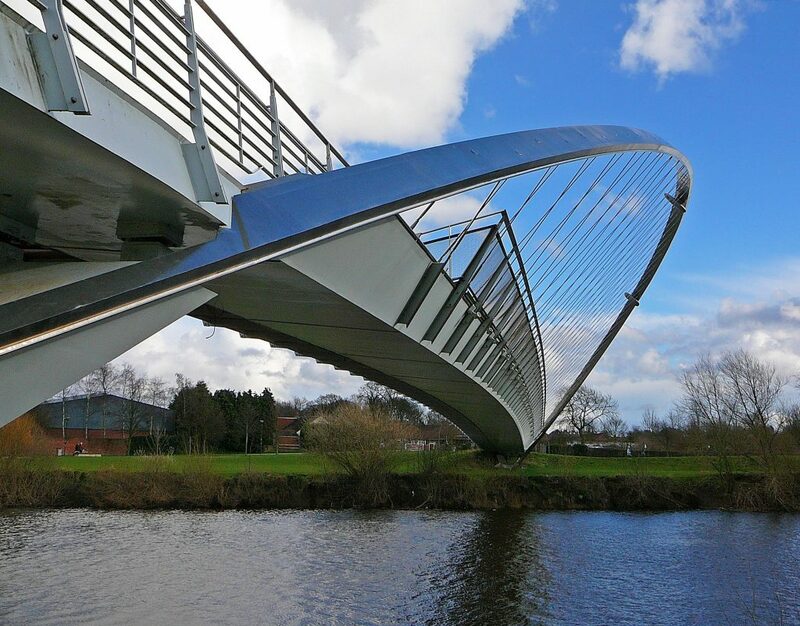 Denying: The Millennium Bridge in York, UK offers an apparent physical, aesthetic and structural confluence while actually separating structure from the other two. The bridge is in fact held up by its curvature and the large girders that make up its main span. The arch which first appears to be a part of the structure not only contributes little to the strength, it places a twisting moment on the rest of the structure! 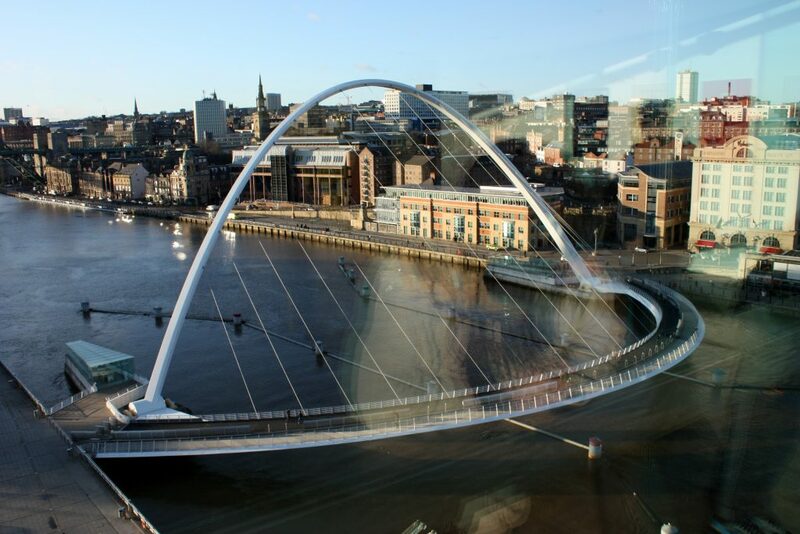 The Millennium Bridge, Gateshead, on the other hand, offers a true confluence between the three elements. Here the physicality and aesthetics of the structure are neatly combined and the balance of forces are just as they are presented. Industrial design’s importance grew through the 20th century alongside industrial production, including the foundation of the American Union of Decorative Artists and Craftsmen in 1927, the British Council of Industrial Design (now the Design Council) in 1944 and ICSID in 1957. Together these various movements and societies shaped a profession whose role was to cohere a design solution that answered the needs of all stakeholders to create the finished item with which the user interacts. Within that process they were required to understand the user’s limitations, abilities, desires and frustrations. A good industrial designer should, it follows, design products with an appropriate cognizance of their context of use. In 1980 Heskett pointed out that one of the outlooks that separate the industrial designer from the artist is how the form is realised [HE80]. An industrial designer will not make the objects they design. However much they may use physicality in the development process, it is merely a means to an end, yet the act of making is fundamental to an artist. A mixture of physicality, cogitative and drawing-based techniques has served designers well for decades (or millennia, depending on your definition of design). However the ascendance of the transistor has created challenges that the design community have yet to satisfactorily integrate into those tried and tested methodologies. As far back as the early 1990s designers started to realise that the products we now know as computer-embedded devices were going to pose challenges because much of the human interaction with them occurred on the physical–digital border. Steve once had a conversation with an interactive appliance design expert who told him that, in his experience, industrial designers tend to address user interfaces, particularly the graphical user interfaces of computer-embedded devices, with a 2-D mentality. Considering industrial design is all about three-dimensional output that’s a damning criticism, but should it surprise us? This enforced disjoint in the design process for products with computers in them is key to the theme of the book and so it will be a strand we pick up later in more detail. There are a number of related areas that study the meeting of physical and digital worlds. Each overlaps either HCI or industrial design to some extent. We will look in more detail at these areas in the next chapter and we will encounter them all at different times during the rest of this book. ubiquitous computing (ubicomp) — In 1991, Mark Weiser painted a vision of computation permeating the world, woven seamlessly into life [We91]. His thinking was based on early prototypes at XEROX research centres in Palo Alto and Cambridge, mostly involving displays of various sizes from 1 inch ‘tabs’ to yard-scale wall displays and explicit interactions. More recent work often also uses forms of implicit sensing (e.g. cameras) and less ‘in your face’ ambient displays. Despite Weiser’s vision, in fact, technology often seems far from seamless, but certainly both our body-load of devices and the number of digital devices in our homes suggests that they are ubiquitous if not invisible. tangible user interfaces (TUI) — In contrast, tangible user interfaces attempt to make computation both visible and touchable, where physical tokens represent digital things, embodying computation [IU97]. For example, a town planning application can use small models for planned buildings placed on a table on which a map is projected. As the planners move the models their location is tracked, a simulation works out projected traffic volumes and projects the resulting flows onto the map. mobile and personal devices — Of physical devices in everyday life, it is probably the mobile phone that has transformed lives most over recent years. One of the reasons they are so powerful is that they are location aware, and the physical location of the phone is central to applications such as maps or ‘find a friend’ applications. virtual reality — Whereas ubicomp, TUI and mobile applications all involve actions in the physical world, virtual reality attempts to emulate the physical world within a digital environment. This may be a representation of a real or planned physical setting, as in tourist applications or an architect’s fly-through; it may create a realistic, but artificial world as in the Sims or Second Life; or it may use a physical world metaphor to represent information artefacts such as the computer ‘desktop’, or more sophisticated systems such as the Tower project that created an urban city-scape where each building and area mapped to files and folders [PG01;PP04]. alternative reality and mixed reality — Alternative and mixed reality systems blend the physical and digital worlds, overlaying digital imagery or other outputs (sound, tactile) on top of the real world, using spectacles, projectors or mobile devices. For example, a tourist guide device can show reconstructions of buildings overlaying archaeological ruins. Core to all is some form of registration between physical and digital worlds, so that digital content can only be accessed at physical locations. We will be revisiting some of these, especially in Chapter 14.
physiological computing — While most of the above use the physicality of the device and the world as their connection point to the digital, there are also people whose very body has become the computational device. 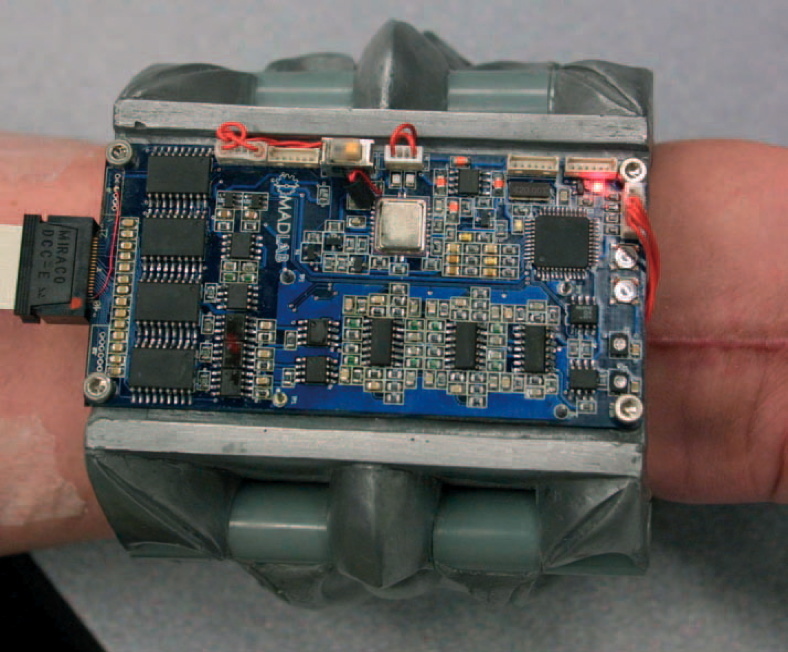 In assistive technology, small muscle movements and even nerve impulses are used to drive and sense prosthetic limbs [Ke09]. Physiological signals such as heart rate can be used in therapeutic settings or even to modify or control game play [GD05]. In Chapter 3 we will be noting the extremes the likes of Kevin Warwick and Stelarc have gone to in this regard. human–robot interaction — Robots are slowly finding their way out of science fiction, and even out of the factory and into human lives: they include autonomous vacuum cleaners, the Sony AIBO and Philips iCat. Some robots are designed to do useful jobs, for example carrying cleaning equipment for an elderly person, allowing them to continue to remain in their homes [Al09]. Others, such as the AIBO, are designed for their emotional aspects: they are like a small cute puppy. 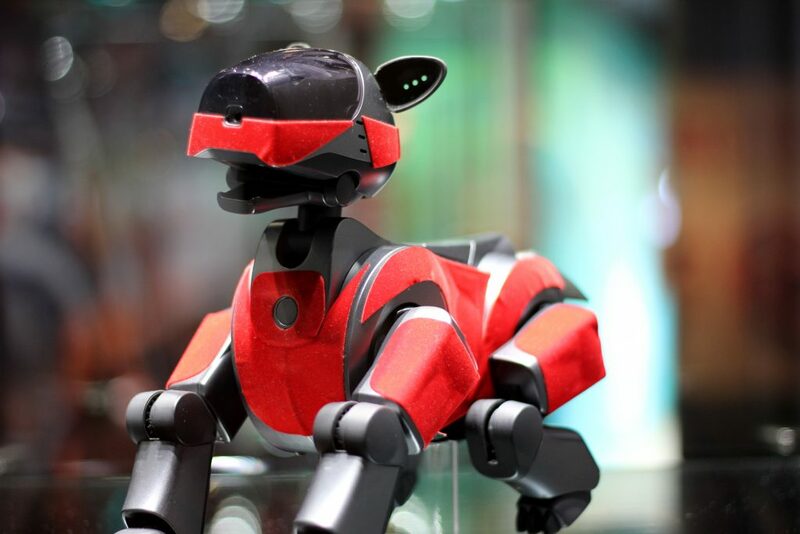 The Philips iCat ([BY05]) is somewhat similar, but does not move around like the AIBO, instead its complexity is focused on its facial expressions and related features. telepresence robots — In addition to being used in one’s own home, the iCat can be networked, so that stroking an iCat in your home can make your friend’s iCat react: social robotics. 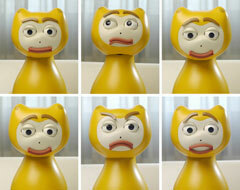 More direct telepresence robots allow a remote operator in a limited way to ‘feel’ socially present somewhere else. These use technology that is similar to the remotely controlled drones that are so much part of modern warfare, but is instead applied to enhance social relations. Telepresence robots usually include a video camera and screen so that the remote operator can both see and be seen. However, unlike a video conference, the robot can be driven by the remote operator so that they have a degree of movement. After these visions of our cybernetic future, the confluence of industrial design and human–computer interaction may seem prosaic, merely concerned with those mundane devices that fill our pockets and homes: MP3 players, mobile phones, washing machines, and Sat Navs. However, these are the things we actually live with, not simply gadgets in research labs. As ubiquitous, tangible and mobile technologies become used technologies, they also become part of industrial design, and then the challenge is how to turn them into things that can become part of our lives. So, where do we turn to learn about the nature of physicality? Most obvious are the sciences of physics and applied mathematics, which study the properties of the physical world, human physiology for the body, and cartography or geography for space. We will draw on knowledge and literature from all of these. 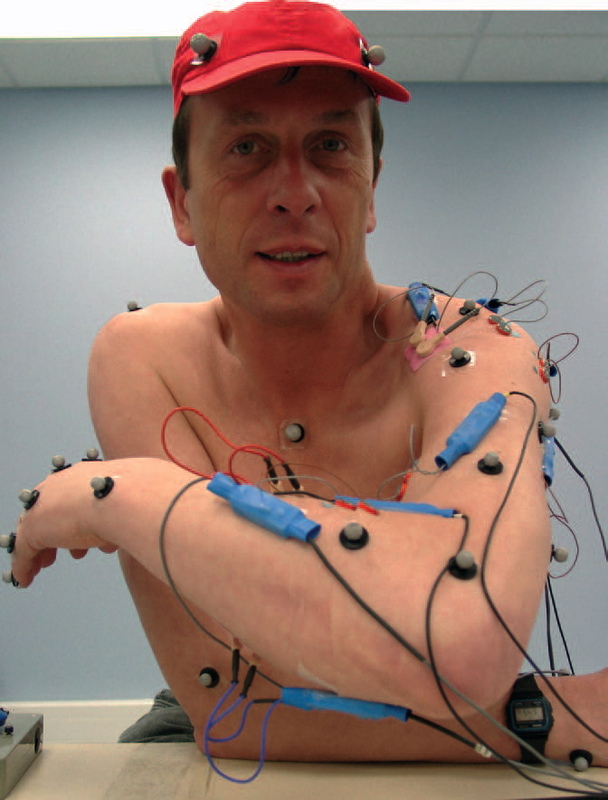 They can tell us how a device will behave when acted on with a certain force, or whether a certain movement is possible or likely to cause injury. However, this is only part of the story. It may be possible for me to open a box, but will I do it? Do I understand that I can do it and how I can do it? To be able to analyse and design even non-digital products we need to understand how people understand. Understanding people is more the domain of the human sciences, psychology, sociology and anthropology, although they have very different methods. Psychology, on the whole, tends to use laboratory experiments, or other forms of controlled experiment, whereas sociology tends to study people in real life by various means, from simple questionnaires to direct observation. All of these have proven useful in HCI in general and particularly for those who study phenomena associated with physical interactions. In Chapter 9 we will discuss experiments targeted at understanding the ‘natural inverse’, the way some bodily movements are the opposite of others (push–pull, left–right). Because this involves low-level and often involuntary movements, it is close to the stuff of traditional psychology and amenable to laboratory experiments. Elsewhere we make extensive use of knowledge gained from ethnographic studies, both our own and those of others. Ethnography, a technique drawn from anthropology, is about studying people in as near a natural environment as possible (albeit that simply having some form of observation inevitably causes changes). While the laboratory experiment is about creating a closed, controlled environment, ethnography embraces an open and sometimes chaotic world, which very often reveals the subtle and complex ways in which people get mundane things done. Archaeologists often have little to work with except the material remains of cultures and yet manage to work out, from those, much about the ways people lived and worked. In a similar way, objects themselves tell us a lot about the way they have been used and the way they have been designed. Studying artefacts can be used as an ethnographic technique, and in Chapter 15 we will see the way documents can be analysed to understand office practice. However, because artefacts have been designed, in a sense they embody the knowledge of the designer, and in Chapter 9, we will see how studying everyday consumer electronics can tell us about heuristics for physical interaction. In both cases, implicit knowledge and practices can often be discovered through analysing the artefacts, knowledge that a person is not even aware of possessing, or which is so ‘obvious’ that they would never think to mention it if asked. For example, ask a person about their job and they will often tell you the ‘rule book’ version, but if you pick up a piece of paper from their desk and ask them how it got there and what would happen if you moved it, a far richer story will often emerge. The very everydayness of physical interaction can make it difficult to study. When you put a cup down, you assume it won’t walk away (and would be surprised if it did! ), but normally you would not tell someone that this and other basic properties of the physical world are part of your implicit understanding of it. The problem here is that these things are not only obvious to the person being studied, but also to the analyst who is trying to study them. In order to see through this ‘obviousness’ of everyday things you need to make them in some way strange or odd. In diverse areas, including neurology and nutrition, it is when things go wrong that scientists begin to understand how they normally work. For example, the discovery of the role of vitamins often arose from recognising the deficiency diseases (see box 1.6). Where the effects aren’t harmful to health, it is possible to deliberately ‘break things’ in order to understand how they work. For example, the ethnographer Garfinkel encouraged his students to perform ‘breaching experiments’ such as standing really close to people while having an ordinary conversation. By breaking the social norms they exposed how important these are [Ga67]. Similarly, we have found various forms of ‘breaking’ have helped us in the necessary ‘estrangement’ of the ordinary. The experiments on the natural inverse, which we will describe in Chapter 9, are of this kind, creating situations where pushing back and forwards on a joystick does not have opposite effects on the interface. This technique can also be used in more qualitative studies, for example in one study of group design we forced groups to use particular materials even if they weren’t the most appropriate [RH10]. Fairytale, myth and science fiction are also rich resources that can reveal which elements of reality are necessary to human understanding of the world [Dx00;Dx09]. If we examine these stories we find that some parts of reality are bent or broken. For example, fairy tales often have magic doors that take you into different worlds, and science fiction has portals or teleportation, all breaking the normal contiguity of space. However, if everything is broken we have chaos, and if we look carefully we see that the story makers retain certain properties, suggesting that these are more crucial to our internal models of the world. As designers this tells us what we should retain and what we can afford to lose in our own emulations of, or interventions with, physicality. The role of vitamin C was only discovered because of the prevalence of its deficiency disease, scurvy. 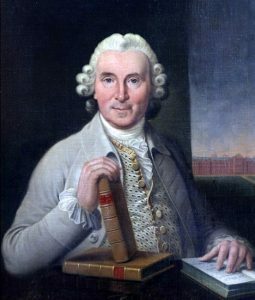 A ship’s surgeon, James Lind, gave an early account of a quite rigorous experiment to determine the best treatment for scurvy [Li53]. He took twelve patients with severe scurvy, “putrid gums, the spots and lassitude, with weakness of their knees”, divided them into pairs and gave each patient one of six different treatments. 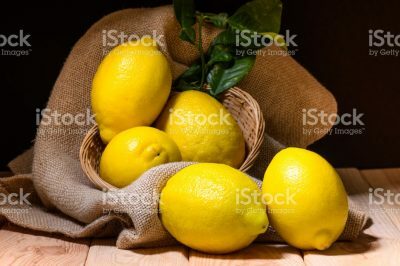 It was the patients who had access to oranges and lemons who recovered most quickly and completely. It was not until the 20th century that Vitamin C was isolated and fabricated, but the understanding of Vitamin C and its importance for health were the results of early studies like this of disease and deficiency.